How powerful are you? That might sound like an odd question, so let me put it another way: Think of Beyonce. 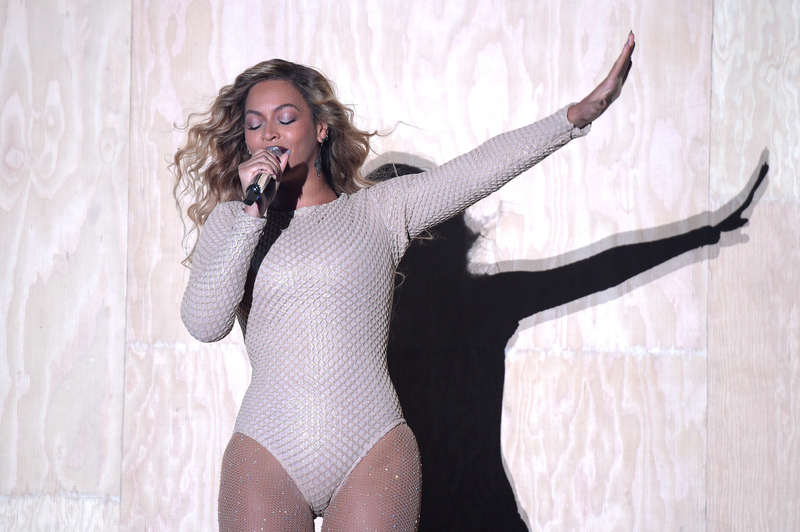 How close are you to Beyonce's, like, level? According to researchers, there's a weird way you can find out how powerful you perceive yourself as — though you might look a little silly doing it (though you don't care about that, do you, hotshot?). The test works like this, according to the book Friend & Foe, by social psychologists Adam Galinsky and Maurice Schweitzer: Using the pointer finger of the hand you write with, pretend to draw a capital E on your forehead. "Do this as quickly as possible, without stopping to think,” they say in the book. Now: If you had written that capital E with magic marker instead of your finger, would someone looking at you be able to read it clearly (that is, it looks like this: E) or would it be backwards (like this: ∃)? If it's backwards, Galinski and Schweitzer argue that that means you're more self-focused. In other words, you think you're powerful as hell. Seeing yourself as powerful isn't necessarily an inherently good or bad thing. For example, when Gallinski and Schweitzer were writing the book, they gave the test to the editors of the project — and found that the senior editors wrote the E backwards, while the junior editors wrote the E forwards. That says to me not that the senior editors are megalomaniacs (though, what do I know? ), but instead that they are accurately aware of their own power. On the other hand, though we also know that rude people are often perceived as powerful, so maybe this is the reason why: Powerful people don't really care about what other people think. That must feel good, even if it's not, I guess, very nice! Oh, and in case you're wondering, I drew a forward-facing E on my forehead, which honestly makes sense because I'm a freelance writer who accidentally dropped a box of chocolates in my kitchen sink yesterday and who can't stop comparing herself to other people on Facebook (why haven't my boyfriend and I gone apple picking yet? Do you think there's something wrong?). I aim to please you, Internet hoards.